Now through December 3rd, you can get Health Magazine on Amazon for just $5! 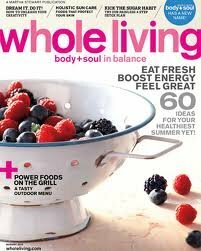 Or you can get Whole Living Magazine for just $3.50 when you enter the code TOTALLYTARGET at checkout. This offer is good through midnight only.